Provided by Ridge Valley Riding Stables, Inc.
Read the What To Wear page for clothing tips when riding. 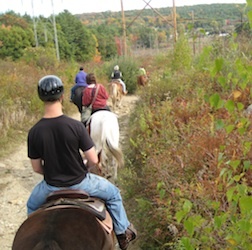 There are dozens of miles of family-friendly riding trails accessible YEAR ROUND from Ridge Valley Riding Stables in Grafton and Upton, MA. Ride in the forest, along the edge of fields, along lakes, or out in open fields under the sky, nature all around, and maybe catch a glimpse of one of the local red-tailed hawks gracefully riding a thermal overhead. Go a little further. 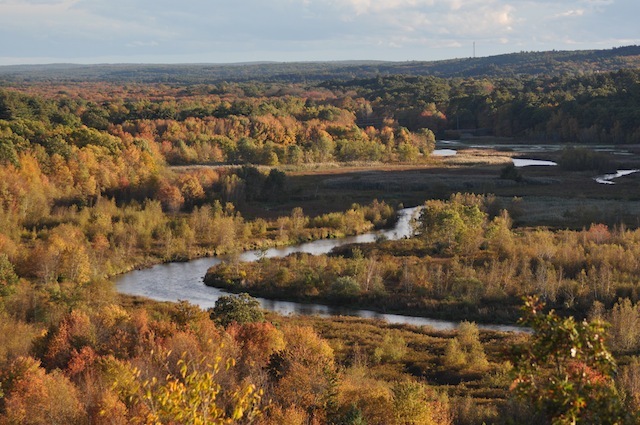 Imagine ambling along the scenic Blackstone Valley on horseback. The sun shining over your shoulder as the Blackstone Canal shimmers to your side. The soft clopping sound of your horse's hooves touching the ground. Or perhaps you prefer the scenery of Cape Cod. 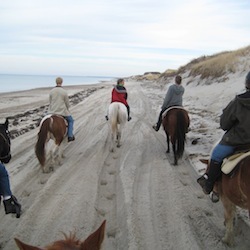 Riding through the soft waves of the ocean on the inner Cape and through the high dunes of Sandy Neck Beach. Your perfect day is capped off by a traditional shore dinner. Ridge Valley Riding Stables can make these visions come true. In fact, our trail guides do this on a daily basis! Copyright ©2013 Ridge Valley Riding Stables, Inc. All Rights Reserved.